This is a belief statement I made for myself. 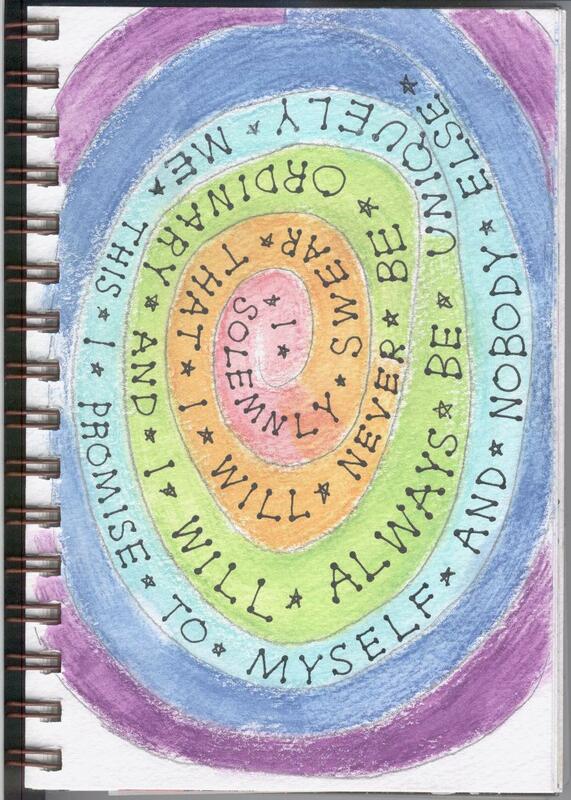 I started with the penciled spiral, then I used watercolor pencils to fill it in. I went over this with a wet paint brush. Once that was dried, I inked my words in rollerball ink. Great statement and wonderful colors. You’ve asked whether I did embossing on my Dancing Card, yes, I did.